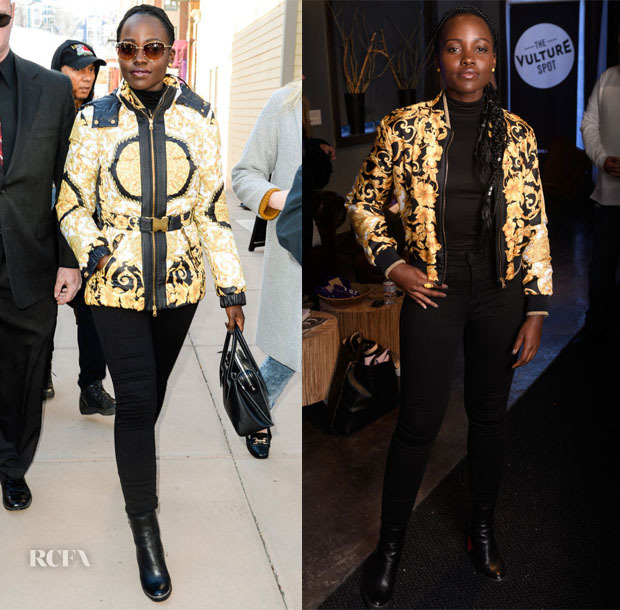 After a very disappointing night style wise for Lupita Nyong’o at the 2019 SAG Awards, the actress headed to Utah to attend The Vulture Spot during Sundance Film Festival on Monday (January 28). 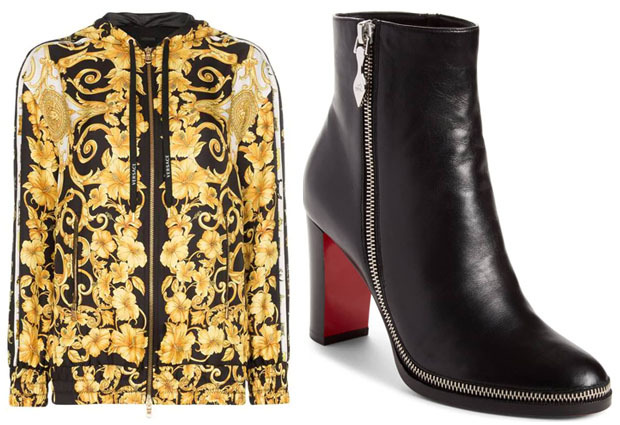 Opting for two Versace looks, the first was a black and gold Versace Baroque print hooded puffer jacket that served two purposes: fashion and warmth; balancing functionality and some serious sartorial flair. With the all-over Versace Baroque print stealing the limelight, it only made sense to keep the rest of the look simple with black L’Agence ‘Marguerite’ jeans, a Tod’s bag and Christian Louboutin Telezip boots. Swapping one bold Versace print for another, the Baroque print hits you once again like the effervescent tablets you rely on to cure a vino-induced hangover. This print might not be to everyone’s liking, as it’s a tricky one to pull off, but Lupita manages both with ease.